All silver is darkening over time. It is actually a hallmark of silver with a high silver content. Silver reacts to hydrogen sulphide and oxygen contained in the air, on the skin, fabrics, plastics, rubber, cigarette smoke, perfume and some skin creams. Oxidation is inevitable but is easy to remedy. Skip strong chemicals and clean your silver jewelry using old housewives. Baking soda, aluminum foil and hot water become the pure tutelage. 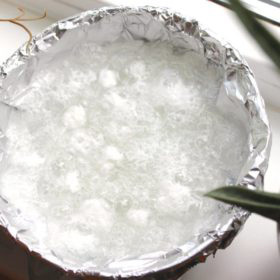 Add aluminum foil to the bottom of a bowl or larger shape. Sprinkle some baking soda. There you place the objects of silver or copper that you want to clean. Pour over boiling water. Do not be horrified when bubbling begins, it’s carbonate that releases carbonic acid when it is combined with water. Wait until the water has cooled down. Lift the clean items and rinse them with water. Wipe the jewelry completely dry with a cotton strap and then put the shine of the jewelry with a silver cloth. Of course, this method does not work if the jewelry in its design has a black induced oxidation in, for example, the bottom of the jewelry (such as EDGE and HEDGEHOG). In this case we recommend cleaning with detergent. If you want to clean your silver jewelry quickly, it’s good to use detergents. Take a few drops of detergent in the hand as well as a few drops of water and dissolve the mixture. Allow the jewelry to bathe in the mixture. Then rinse the jewel under running water, then wipe the jewelery completely dry with a cotton strap and then use a silver cloth to bring up the gloss. 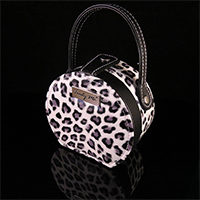 Keep your silver jewelry separate, for example, in separate fabric bags (included when you buy a Truly Me jewelry). This is because the jewels should not bump into each other and accelerate oxidation. Silver is actually one of the most widely used metals in the world. It is very soft in its purest state (100%). That is why silver generally is alloyed / mixed with another metal, usually copper. But to be considered as genuine silver it must contain 92.5% silver. It is 92.5% silver called sterling silver. 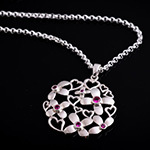 Sterling silver is the silver that is usually used for jewelry making. 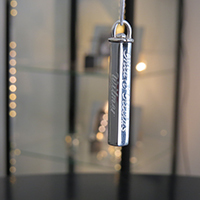 Sterling silver is whiter and is softer to work with than 83% silver, used for consumables such as silverware.